I know it’s a miracle, and I am insanely grateful to have been blessed to grow my baby. I really am. But being pregnant sucked. The first trimester sucked, the second trimester sucked, and the third trimester was like something straight out of a horror movie. But today we’re just talking about the Joy of the First Trimester. I made it 6 weeks before I got sick. We had just landed in Hawaii and so far I felt great! I had been enjoying my first few weeks of pregnancy, right from deciding how to tell my husband I’m pregnant to planning our nursery. (I was sad I couldn’t have any drinks, but I was happy to be in Hawaii, and determined not to let the drink-less-ness of the holiday ruin my mood.) We had a condo, a rental car, and a beach umbrella. And we had a trunk full of steaks, chicken, and salads from Costco for our ten day trip. Then I BBQ-ed some chicken after a gorgeous day on the beach. I tired steak. I tried a hamburger. I tried all the food. I was just about to give up and cry when it suddenly occurred to me that bananas (which I don’t like) and cliff bars (which I don’t eat often) were totally acceptable food. And thus began the Joy of the First Trimester. Now, if you feel great – congrats! This advice might not be that relevant to you. If you can keep working out, that’s AWESOME. If you can eat spinach and chia seeds and keep your pre-natals down, good for you! But if that’s you, then don’t judge me for what I’m about to say, because you just don’t understand. ♥ First and foremost, cut yourself some slack. ♥ Eat whatever you can, whenever you can. Seriously. My sister convinced me of this. One of the reasons that “morning sickness” can be worse in the morning is that having an empty stomach tends to bring it on. But when all the “healthy” food is gross, your stomach might be empty… alot. So don’t worry about nutrition, don’t worry about calories. If you find something that you can eat, eat it. For weeks I stressed about nutrition. One day I spent half an hour forcing down a protein powder and fruit smoothie. It was SO awful. But I got it down. And I kept it down for approx 3.5 minutes. The day I discovered that I could eat potatoes was the best day. Any form of potatoes! And I could eat cold white food. Ice cream, plain yogurt, vanilla milk shakes. Those things were all ok. I admitted to my doctor that I was eating nothing but potatoes and ice cream, expecting a lecture. I was SO relieved that he just laughed and assured me that my baby was more like a parasite than a pet, and it would take what it needed from me. ♥ Sleep. Choose sleep over Facebook. Choose sleep over TV. Choose sleep over any other leisure activity. This might actually be uncontrollable. I have never (and I do mean never – apparently even as an infant) been able to just lay down on the couch during the day and fall asleep. Related:Should You Bother Taking a Prenatal Class? ♥ Talk to your doctor at the FIRST appointment about taking Vitamin B.
I had read some theories online about how taking B vit might prevent morning sickness and I was taking a liquid B (this is the one I took, and it says right on the bottle “for use during pregnancy to prevent neural tube defects”). 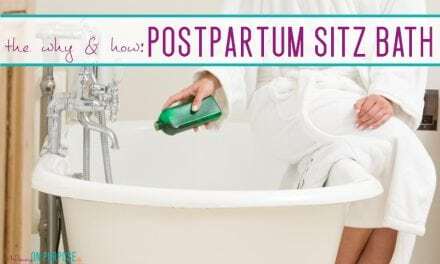 My Doctor said the idea that B Vit could prevent morning sickness has never been proven, but it just so happened that I got sick in Hawaii … where I couldn’t take my B vit because we had traveled carry on only and I couldn’t pack the liquid bottle. I certainly found that it seemed to help. ♥ Read up (and stock up) on a few safe nausea remedies before you actually get sick. Don’t fight it! Just give in and throw up. I don’t fear over sharing, so I’ll tell you flat out- there’s a good chance that terrible pain off to the lower left in your stomach is poop. Things are changing rapidly in there, and you’re taking iron to boot. (Which can REALLY back things up.) Prune juice is your friend. As is coconut water. ♥ Talk to your doctor at the FIRST appointment about taking Tylenol / using heat / ice. I swore I wouldn’t touch tylenol while I was pregnant so I didn’t bother talking to my Dr about it. And maybe you’ll be able to hold out. 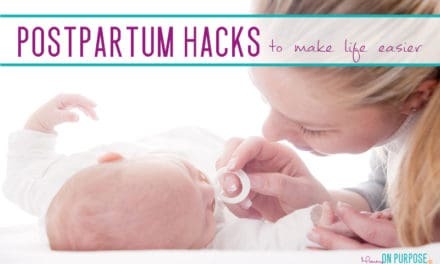 But when it’s 47 hours into the first migraine you’ve ever had, or four days into your first cold as a pregnant lady, you may just break down and take it. So know if your Doctor says it’s ok, and know how much is ok.
♥ When you are overwhelmed by all the feelings, remind yourself that it’s not you (…or your husband) it’s just the hormones. Recognizing your crazy emotions as a force that you aren’t in control of can allow you to feel less overwhelmed. You might still feel sad or scared or confused, but knowing that it will pass and that you don’t have to get it together is sort of freeing. ♥ Really focus on WHY you’re suffering. I swear – even if you’re not sure you really want kids – when you meet that baby it will all seem worth it. You might even sign up to do it again. I’m nine weeks in. This post made me cry. No clue why. Cue the crazy emotions! Pregnancy has not been my favorite so far but this article made me feel a little less guilty about that. Thank you for your honesty and advice! Haha Erin!! It’s totally ok to cry at random things all the time. 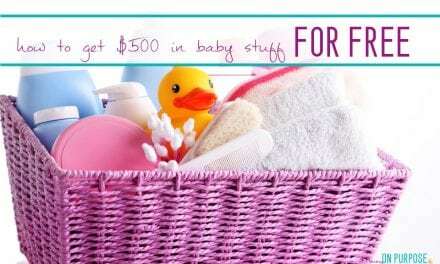 I hope pregnancy gets a little easier for you (it didn’t for me, but I’m not the rule!). It’s ok to not LOVE it. Just remember that it’s WORTH it. 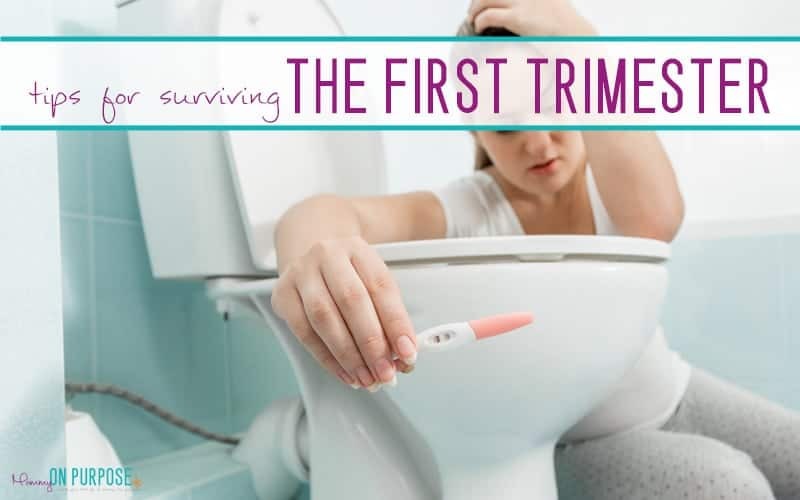 I just want to thank you for being the first real honest and raw article I have read about “morning” sickness (surely a man invented the term!!) I have not been enjoying my pregnancy at all so far but feeling insanely guilty at the same time for feeling this way, especially after a miscarriage! I found so much comfort in your article so thank you! I’m nine weeks tomorrow. And out of all the articles I’ve read and support I’ve received so far during this sucky first trimester, your post was the only thing that made sense to me. Thank you. I’m totally crying at my desk with utter, utter relief. Aw Erica!! I’m so sorry you’re struggling – it is HARD, but it is WORTH IT! (and it does get better.) Just hang in there girl! HI Coco – awwww I feel terrible for you and I GET it! It will totally get better… just get through this part, give yourself grace, and that baby will make it all feel worth while! You are the best! I am almost 9 weeks pregnant (my second pregnancy) with a 2 years old and with awful morning sickness. I don’t know why there’s such a small amount of articles explaining that pregnancy isn’t always a walk in the park. I guess many of us just block our memories ha ha. Anyway it’s refreshing to read an article that matches my current feelings. I’m nearly 14weeks, and have been feeling sick since week 5or6! 24/7!! Lost 12kg and can’t find anything I feel like eating or drinking. I loved your doctor’s comment about the baby being more of a parasite than a pet right now… luckily the baby still gets/takes what he/she needs, it just leaves you depleted. Your article made me chuckle a little at how true it all is, and it’s nice to know I’m not the only one struggling with the guilt of not being ecstatic. Thank you for this post! Took a lot of words right out of my mouth! I obviously need to give myself a break…I ate a pint of ice cream cuz it’s all I could eat…oh well! This post is really going to help me a lot! I found out I was pregnant while on Active duty orders in the middle of Fort Sill. Trust me when i say that whatever I found to eat that I didn’t throw up I ATE IT. It’s so true – pregnancy nutrition is NOT a one-size-fits-all, some of us can’t eat healthy for our entire pregnancy! I’m 7 weeks today and I haven’t puked yet but I’ve felt like it with everything past couple days. Saltines and ginger ale are my friends right now. I even took some cereal to work to nibble on so I didn’t have an empty stomach. Great advice. Thanks! Oh I am glad it helped! Good luck with the pregnancy! Oh my goodness, I so needed this today! This morning I was thinking how I must be the only woman on earth who hates being pregnant! Thank you for your realness! You’re welcome!!! Hang in there – you are certainly NOT alone LOL. I needed to read this article today. Finally someone understands me! I’m 9 weeks pregnant and feeling awful. I’m taking medicine for the nausea but apparently it isn’t something that can be fully controlled. I can barely eat and working full time feels like a punishment. Even a bigger punishment is having to listen to every mother telling me it’s normal or to just eat crackers or drink ginger ale and it will pass. It doesn’t. I’m especially grateful for those who give me their useless advices and then confess they didn’t feel nauseas at all at their pregnancies…..
My baby, thank good, is fine. It’s so great to have a doctor that understand you, and support from your family. I don’t know what I’d do without my husband.